Welcome to the first issue of the Lone Pine quarterly newsletter. All of you receiving this newsletter have in some way touched Lone Pine; whether it be through adopting a new furry family member from us or donating your resources to us, be it your time, money or items from our wish list. We're thankful our paths have crossed. With this newsletter we'd like to share with you some of the great things happening at Lone Pine. Your support allows us to continue doing great things. We appreciate each of you and hope you enjoy this first issue. 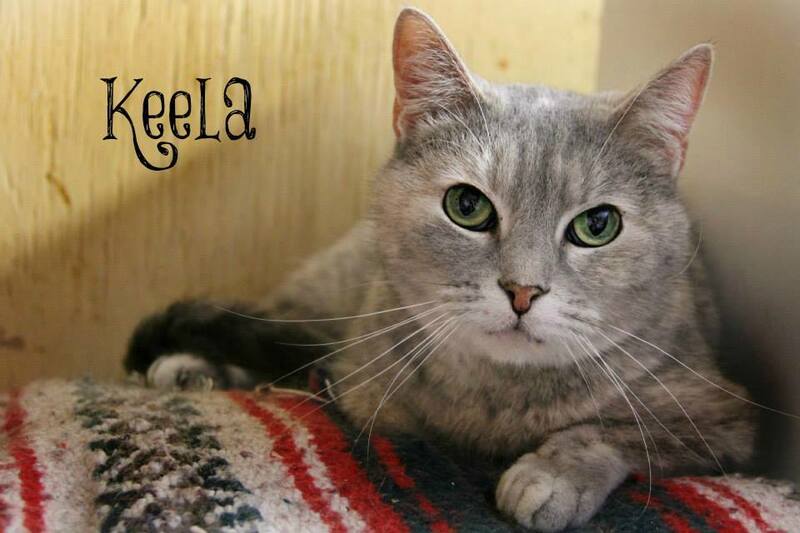 Keela - is 6 years young and such an affectionate girl with beautiful green eyes. She enjoys being brushed and would make the purrfect lap kitty. Please visit our Adoption section of our website. 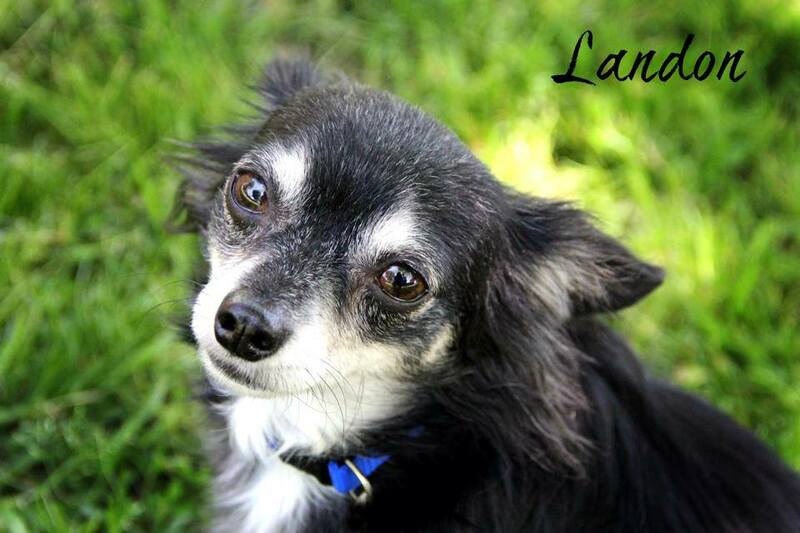 Landon - is 4 years young and a real love bug. He's on the shy side but enjoys playing with other dogs. He also likes curling up in your lap. Sabian loves to greet the LP volunteers. Don't be intimidated by his size, he is the gentlest dog around and he is looking for his forever home. The Spring Vendor Sale was a big success raising over $5,500 in two days along with $195 in donations. Thank you volunteers! Without your support to help with setup, sales, and clean up, it would not have been possible. A special thank you goes out to the local vendors who came through with fantastic donations that we can sell to raise the much needed money to care for the animals. Our Fall Sale will be held in October. If you are interested in getting involved by helping to secure items from vendors, please Contact Us. We could always use help with Volunteering too. Fostering can literally mean life or death for a pet. Many dogs and cats just don't do well in a shelter environment. As a result, they get very stressed, which can lead to illnesses. Fostering provides these pets with a temporary "home" environment. Once they are introduced to this temporary home the transformation begins. 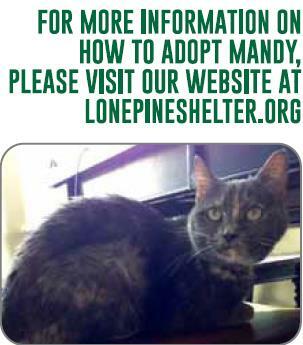 Case in point is our very own Lone Pine kitty, Mandy. Mandy - will be around 8 years old this year. 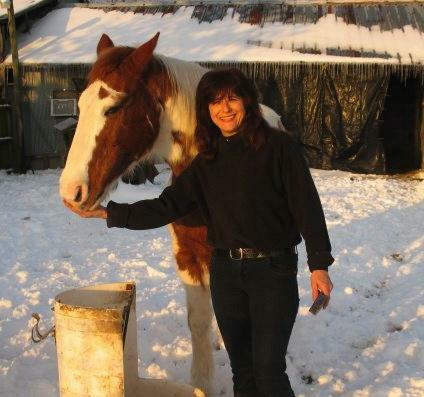 She has spent most of her life at Lone Pine Ranch after being rescued by a volunteer who found her in a drainage ditch. We are guessing she was about a year old at the time. Fast forward 7 years later when Joel and Lindsay began Volunteering in the Cat Barn and got to know Miss Mandy. They decided they could make a difference in this little girl's life. 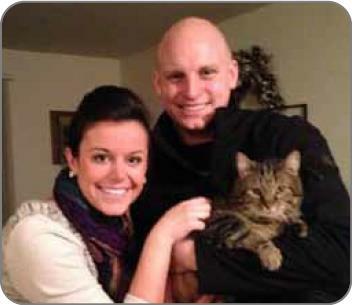 Mandy had not been feeling well for a little while so Joel and Lindsay stepped up and became her foster parents. 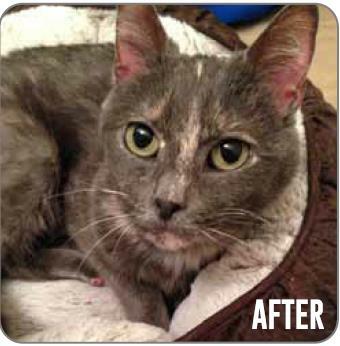 After only three months in her new foster home Mandy is thriving. 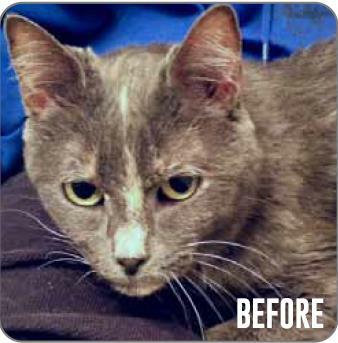 She's gained weight, her coat is soft, and she interacts and plays with the resident kitties. Her foster family is amazed by her transformation and all it took was a little time, some TLC, and the willingness to step up and make a difference. 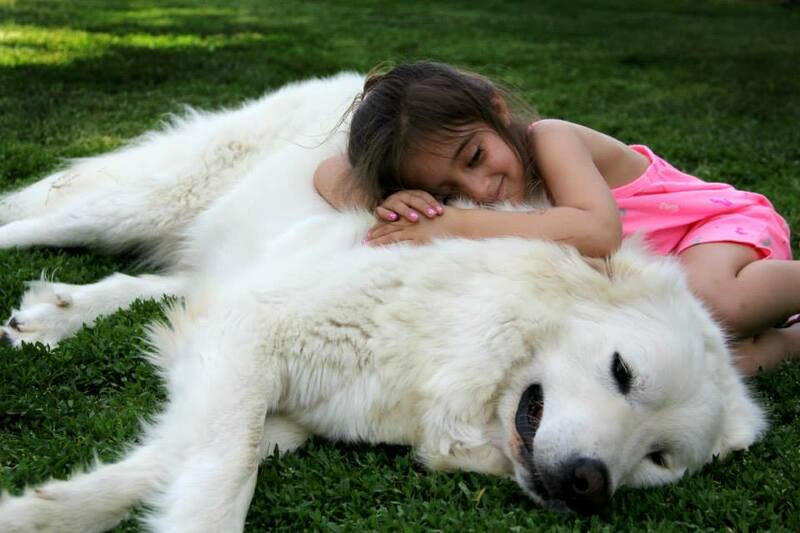 Ashton - This big love bug stole the heart of the sister of one of our Volunteers! This is their first family photo on the day they made it official - January 2014. Things are going so well with Ashton (who's since been renamed Walter) that they will soon be adopting another plump and lovable LP kitty! 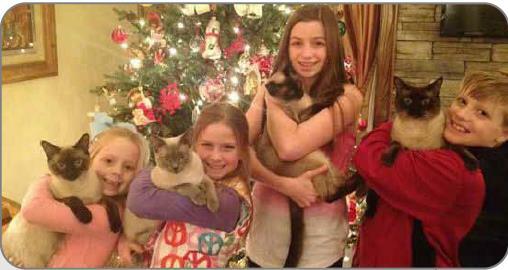 The Siamese Family - this happy family adopted from left to right Fabio (now Hershey) and his sister Bijou (now Bella) in August of 2013. They were over the moon for them. Fast forward to December of 2013 when Niobe (now Holly) and her mate Lucius (now Nicholas), who are the parents to Hershey and Bella, are up at PetSmart awaiting Adoption. Once the family got wind that they were still available for adoption, they knew they had to reunite them with their kitties. They've been one big happy family ever since. Notice each child has their own kitty! Copyright © 2014 - Lone Pine Shelter - All Rights Reserved.